Is it time to worry about Tim Lincecum? 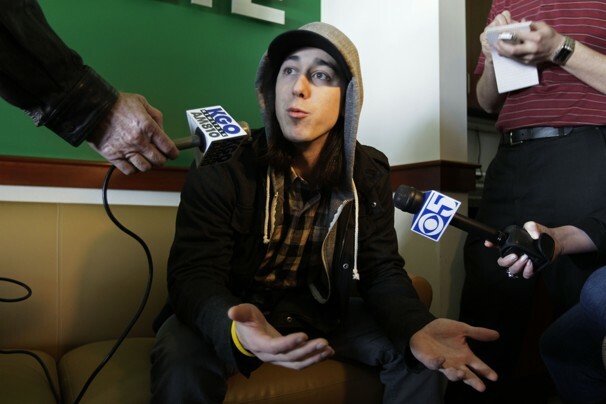 Giants starter Tim Lincecum has been anything but the freak he has known to be. In his first two starts of the season he got pelted and currently has an ERA above 10.00. LIVINGSTONE: The expectations surrounding San Francisco Giants starting pitcher Tim Lincecum have been high since he came into the league. He’s 69-42 with a 3.04 career-ERA, has won back-to-back Cy Young awards in 2008 and 2009 and played a pivotal role in the Giants World Series title in 2010. In 1,035.2 innings pitches, The Freak has 1,137 strikeouts. And while the season is young and Lincecum has only pitched two games he looks nothing like the dominant slingshot pitcher hitters have feared for the last five seasons. In two starts for the Giants, Lincecum has posted an ERA of 12.91, has given up 11 runs in 7.2 innings, 14 hits and has posted a WHIP of 2.22 (his career WHIP is 1.20). It’s anything but spectacular and one has to wonder if Lincecum is beginning to show signs of fatigue. It’s known that Lincecum has dropped – or at least diminished greatly – the use of his slider. That slider was one of the filthiest in the league and a big part of his ability to dominate. It’s very early, but there has always been concern that Lincecum’s career would tail off as he aged, much of it to do with his slingshot delivery and his relatively small frame. As a fantasy baseball nut who has drafted Lincecum each of the last four years, it’s tough to watch him struggle like this. It’s early so patience is key, but one has to wonder if it’s a glimpse into the slow decline of one of the most dominant pitchers in the game over the last half-decade. Have to hope it’s not likely the case. He gets his third start of the season tonight so much of fantasy baseball players will be watching closely to see just how Freakish Lincecum will be – either good or bad. “filthiest slider in the league” love it.